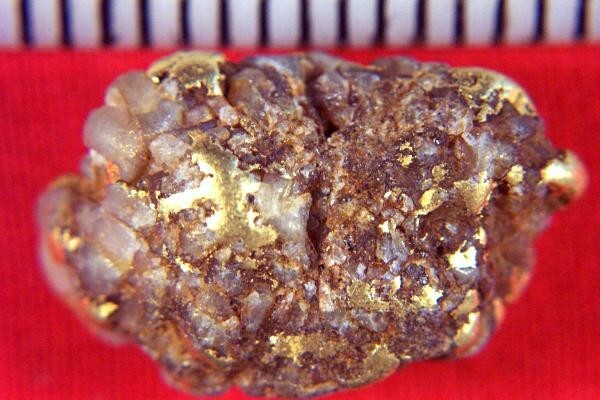 Spectacular Natural Alaska Gold Nugget - - It's Free! Check out the beauty of this Alaska Gold Nugget with quartz inclusions. The weight of this beautiful gold specimen is 7.9 Grams (122 Grains) and is 7/8" long x 1/2" wide x 5/16" thick. 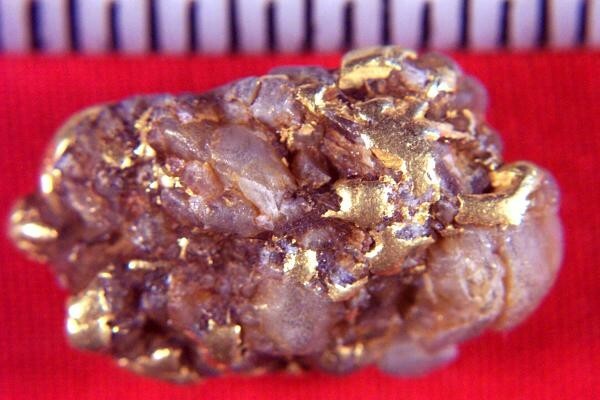 This gorgeous Alaska Gold Nugget would make a wonderful jewelry piece.